In addition to being an elite martial artist with black belts in 10 martial arts styles, Kyoshi Dave Kovar is recognized worldwide as an innovator of best practices for martial arts school operation. He earned 1992 instructor of the year in U.S. Martial arts association. Dave oversees the operation of eight kovar’s satori academy schools and he founded ProMac, the professional martial arts college. 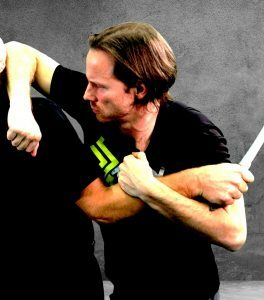 Kyoshi kovar is the lead instructor for martial arts industry association and he has published over 100 online business and teaching videos for the educational funding company (efc). He was named the 2010 recipient of the martial arts industry association’s 2010 lifetime achievement award. Kyoshi Kovar’s products and systems are widely acknowledged as industry standards. His relentless pursuit of excellence is at the core of every product and service from Kovar Systems. 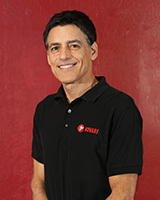 Mr. Nick Wilson has been training in the martial arts for 27 years, and teaching for 20 years. He currently holds a 5th Degree Black Belt in Kenpo, and Black Belts in Tae Kwon Do and Doce Pares Escrima, and Brazilian Jiu-Jitsu. He has actively competed in forms, sparring, full-contact stick-fighting, and Brazilian jiu-jitsu. 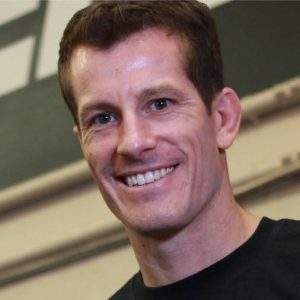 He has won Gold at many Brazilian Jiu-Jitsu Tournaments including: Grappling X, NAGA Championships, American Cup, and the UGF California State Championships. In 2014 he earned Gold at the US Open of Brazilian Jiu-Jitsu at Brown Belt. Nick also enjoys training in Boxing, Muay Thai, and Wrestling. Including his main instructor, Kyoshi Dave Kovar, Nick has had the honor to learn from these great martial artists: Rickson Gracie, Pedro Sauer, Xande Riberio, Cassio Werneck, Derek DiManno, John Hackelman, Mike Swain, Chuck Jefferson, Dan Inosanto, Greg Jackson, Mark DellaGrotte, Randy Couture, Rafael Lovato Jr., Andy “K” Khensamphaph, Juanito Noval, Mikio Nichiuchi, Jhoon Rhee, Bob Liles, Joe Lewis, and Benny “The Jet” Urquidez. Nick has helped two Kovar location start-ups to over 200 and 100 students respectively. He managed the Kovar’s Waterman location for ten years, growing the school from 170 to 450 active students. He takes pride in classroom management, top notch teaching skills, staff training, and developing strong communication with students, parents, and staff. Mr. Wilson has also worked as a California Realtor for Coldwell Banker, and an Operations Manager for a Fortune 50 Company giving him additional business experience. Tim Leard has been practicing martial arts since 1997 and has achieved the rank of 4th degree Black Belt Kovar’s Blended Kenpo as well as 2nd Degree Black Belt in Krav Maga, 1st Degree in Kuk Sul, 1st Degree in Universal Kenpo, and Blue Belt in Brazilian Jujutsu. A full time martial arts instructor since 1999, Tim is an avid practitioner and student with experience in a variety of martial and combative disciplines including jujutsu, hapkido, historical European fencing, escrima, iaido, MMA, and kickboxing. Tim has actively competed in traditional forms/kata, point sparring, and MMA. He is always looking for new learning experiences. 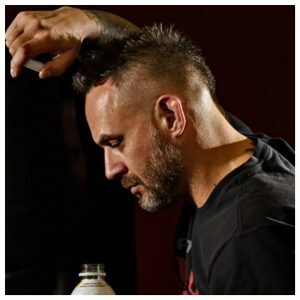 In addition to Dave Kovar, Tim has had the honor of learning from John Whitman, Ed Parker Jr., Cassio Werneck, John Hackleman, Mike Swain, James Hiromasa, Mark DellaGrotte, Juanito Noval, Mikio Nichiuchi, Benny “The Jet” Urquidez, Farborz Azhakh, Carlos Valente, and Richard Schubert. Tim specializes in realistic and practical self defense and has has also been certified as a KMA Force Instructor, earned a Krav Maga Practical Instructor’s diploma from Wingate Institute in Netanya, Israel, and is a member of the Krav Maga Alliance Training Team as well as having experience with the SPEAR and FAST Defense RBSD systems.. He has a passion for helping people stay safe and loves to work with military, law enforcement, and emergency services personnel who voluntarily put themselves in harm’s way in the line of duty. Tim is experienced at, and specializes in staff development and has guided dozens of individuals on their journey to certified instructor positions. He prizes an analytical and systematic approach to teaching martial arts and training instructors. He is also a fitness and nutrition enthusiast, as and has a particular in sword-fighting. Tim lives in Rancho Cordova, California. In his off hours, Tim can usually be found working out, practicing swordplay, or reading. Chad Shepherd has been training in the Martial Arts for 25 years. Mr. Shepherd is a 5thDegree Black Belt in Kenpo, a 2nd degree Black Belt in Tae Kwon Do, and a Brown Belt in Brazilian Jiu-Jitsu. Mr. Shepherd is also a certified MMA conditioning coach under Kevin Kearns, and a former professional MMA fighter. He also holds the honor of being a United States Marine Corp Veteran and appearing in the John Woo film, Windtalkers. Chad Shepherd has been operating Martial Arts Academies for 14 years, and is currently operating Kovar’s Roseville Academy, a 2300 sq. foot academy with an active count of 310 students and growing. Mr. Shepherd’s passion, discipline and dedication in the field of Martial Arts can be seen in everything he does; be it training his students, developing his staff, or sharing his expertise. Bryan Nay has been training in the Martial Arts since 1990 and began teaching in 1998. He is a 3rd degree black belt in Kenpo and 2nd degree in Olympic Tae Kwon Do. 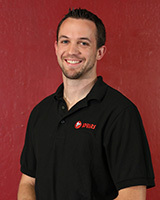 Mr. Nay is also a certified Krav Maga instructor, Crossfit Trainer, and MMA Strength and Conditioning Coach. In addition to his martial arts experience, Bryan Nay also has a strong business background. After earning his degree in Marketing and Human Resources Management from Cal Poly, San Luis Obispo, he immediately began putting it to work at a Fortune 50 corporation where he held management positions both in Human Resources and Operations. Bryan Nay left his role in the corporate world and returned full time to Kovar’s in 2010 to continue his life’s passion. He was the School Manager of Kovar’s flagship location in Carmichael, where he and his team grew the mature school’s active count by 160 students in his first two years. In late 2013, he assumed the role of General Manager of Kovar Systems and took on the role completely in late 2015. Dave Chamberlain is a seasoned senior executive with experience in high-profile corporate environments and fast-growing start-ups. He is a proven leader with a consistent track record of success. Prior to joining Kovar’s Satori Academy, he held executive management positions at Gateway Computer and IBM. Mr. Chamberlain found his way to Kovar’s after his daughter began as a student in one of the Kovar’s Academies, shortly thereafter Dave Chamberlain began training. He has since earned his 2nd degree Black Belt and is training for his third. 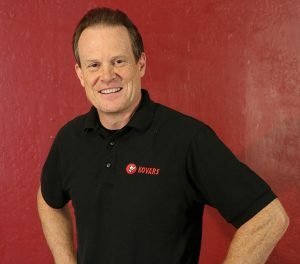 Dave Chamberlain joined Kovar’s in 2006 and now serves as the CEO working side-by-side with Kyoshi Kovar to make Kovar’s and their clients successful. Mr. Chamberlain brings a wealth of both small and large business experience to the table. When coupled with his passion for Martial Arts and the belief that it can and does positively impact the lives of those who train, he remains a strong advocate for the Martial Arts Industry.